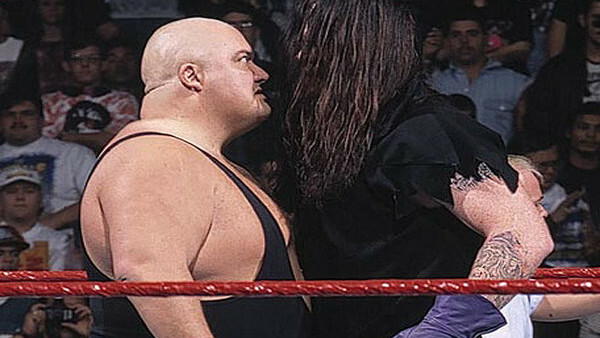 It took The Undertaker a long, long time to get good between the ropes. He was always a decent athlete for his size, but his early years were full of slow, cumbersome matches, and while his WrestleMania streak would eventually become legendary, it, too, is full of absolute dross. Things were particularly bad in the mid-'90s, when Vince McMahon effectively used 'The Deadman' to kill off any failing monster character whose career was cratering. It started with Kamala in '92, and continued throughout the years, with the Underfaker (SummerSlam '94), Mabel (In Your House 5: Season's Beatings), and King Kong Bundy (WrestleMania XI) among the worst offenders. None of these feuds were any good, and any rub the up-and-coming 'Phenom' received from going over was negligible.